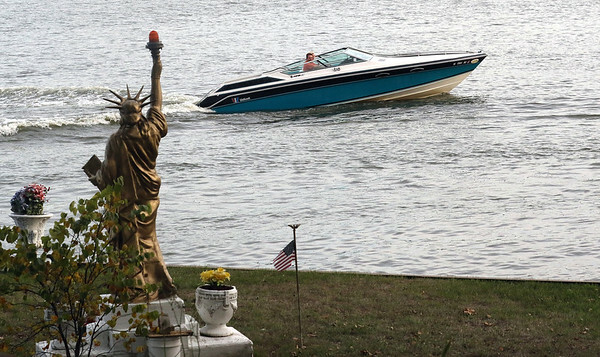 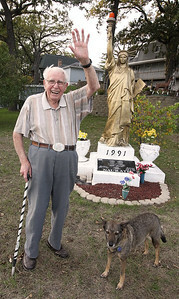 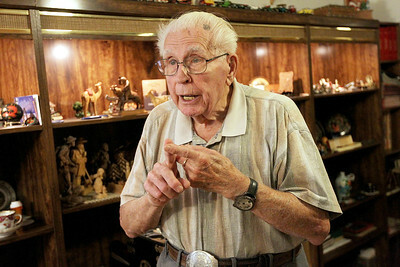 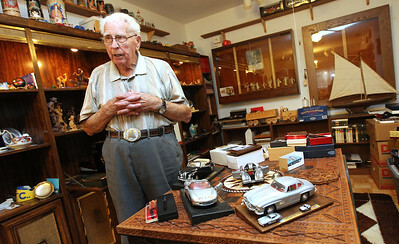 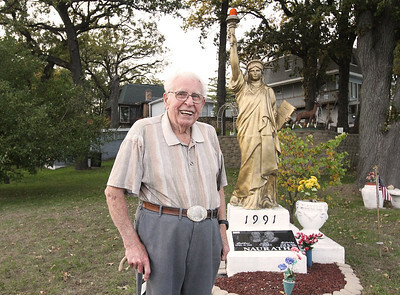 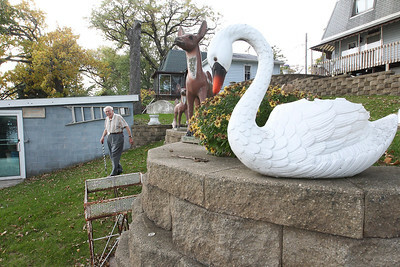 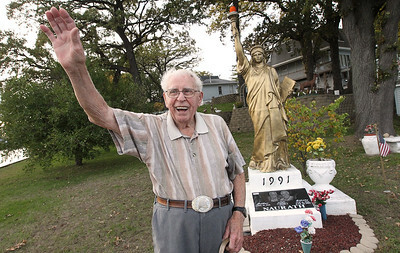 Lothar Naurath stands next to the Statue of Liberty he displays on his lakefront property in Fox Lake. 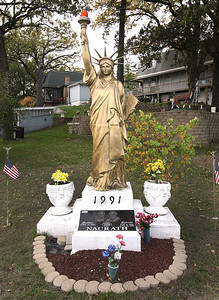 The statue stands thirteen feet high with the torch. 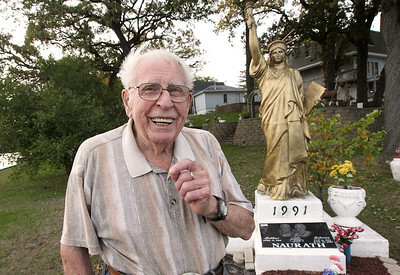 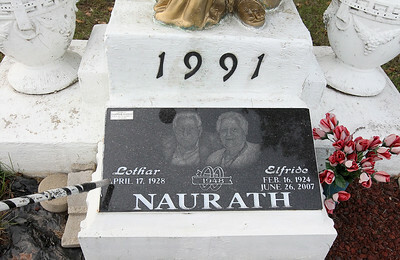 Naurath and his family came to the United States by boat in 1958 and the first thing they saw when they arrived was the Statue of Liberty.